The total number of preventable deaths that occur due to negligence in alarming. Every now and then you may hear about cases of medical misdiagnosis, surgical errors, prescription errors, and cases of negligence. However, for the average person, it is hard to even imagine the total number of injuries and fatalities that occur each year in the United States due to strong style medical malpractice. The total number of medical malpractice cases reported annually in United States is alarming. A total of around 98,000 people get killed every year due to medical negligence. However, some research reports show that the actual number is much higher than this. These are errors that could have been prevented. In a study conducted by United States department of health and human services in 2010, it was witnessed that as many as 134,000 patients experienced at least one adverse event in a hospital over a period of one month. Adverse event here refers to an injury or harm caused to a patient as a result of medical treatment. The same study revealed some even more startling facts. According to this study, in one month, 15,000 patients experienced an adverse event during their stay in hospital that contributed to their death. An expert analysis of these cases revealed that around 44% of these events were preventable. This was reinforced by some other studies that were conducted in more recent times. Recent studies conducted on the subject paint an even grimmer picture of fatalities caused by medical negligence. Medical malpractice lawyers feel that the fatality and injury figures revealed by these studies are staggering. The September issue of Journal of Patient Safety contains the latest statistics on cases of medical negligence in United States. According to it, 210,000-400,000 people die each year in United States as a result of medical practice. The figure was arrived at by incorporating research results of a number of studies conducted during this period. Even more alarming s the fact that the number of severe injuries caused due to medical negligence is 10 to 20 times higher than the number of annual deaths caused due to medical negligence. This means, In United States, millions of people get injured at the hands of the medical care providers. Medical negligence cases are hard to prove. You will likely need the services of an experienced, skilled, and knowledgeable attorney to file your lawsuit, and prove your case in a court of law. 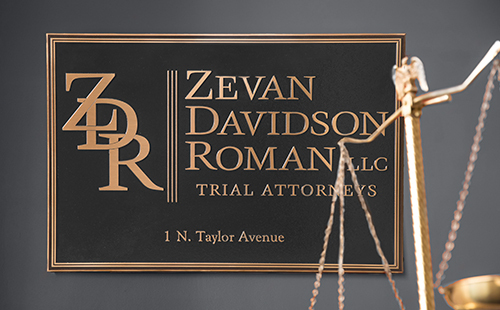 If you or a loved one have become a victim of medical malpractice, get in touch with a medical malpractice attorney at the Zevan and Davidson Law Firm. We will work to protect your rights and get you the compensation you are entitled to.